Angelo Xiang Yu | The Chamber Music Society of Lincoln Center. 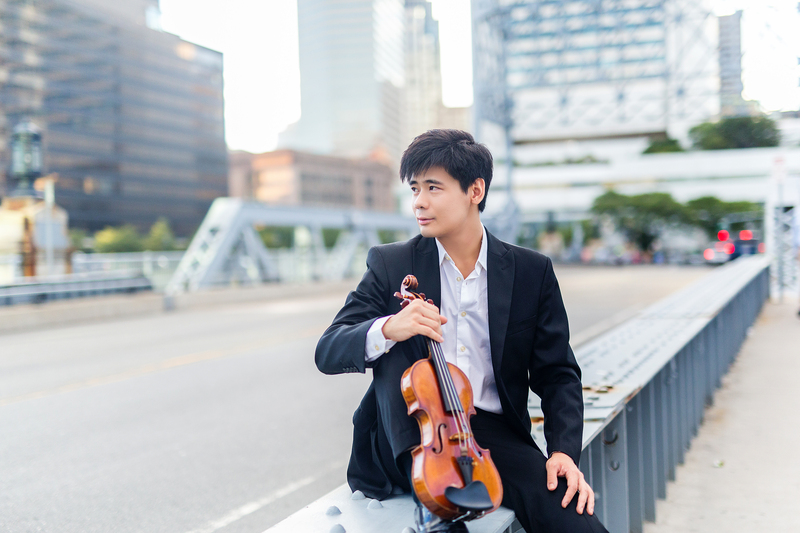 Winner of the Yehudi Menuhin International Violin Competition, Angelo Xiang Yu has received consistent critical acclaim and enthusiastic audience response for his solo recitals and orchestral and chamber music performances. 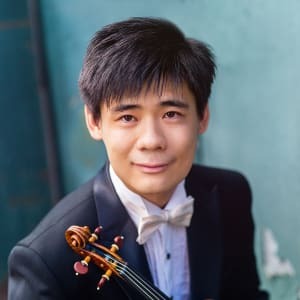 Highlights of his 2018-19 season include debuts with the Rochester Philharmonic and the Sacramento, Spokane, Baton Rouge, and South Florida symphonies. He has also performed with orchestras in Pittsburgh, Toronto, Vancouver, Denver, and Houston, as well as with the Shanghai Symphony Orchestra, Auckland Philharmonia, New Zealand Symphony, Munich Chamber Orchestra, and Oslo Philharmonic Orchestra. An active recitalist and chamber musician, he has appeared in recital in Berlin, Paris, Beijing, Singapore, Shanghai, Auckland, Chicago, Pittsburgh, and in March 2018 he performed in Boston’s Jordan Hall under the auspices of the Chinese Cultural Foundation. During summer 2018, he made debuts at Music@Menlo, the Bridgehampton Chamber Music Festival, and the Sarasota Music Festival. He has also performed at Chicago’s Grant Park Music Festival, Chamber Music Northwest in Oregon, the Verbier Festival in Switzerland, and the Bergen Festival in Norway. Born in Inner Mongolia, China, Mr. Yu studied with Qing Zheng at the Shanghai Conservatory. He earned his bachelor’s degree, master's degree, and artist diploma from the New England Conservatory of Music, where he was a student of Donald Weilerstein, Miriam Fried, and Kim Kashkashian. A resident of Boston, he performs on a 1729 Stradivarius violin generously on loan from an anonymous donor. This season he joins The Bowers Program (formerly Chamber Music Society Two).